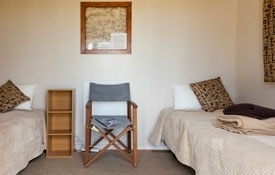 Wedderburn Cottages offers accommodation and hospitality at its best, ranging from the comfortable 1928 farm homestead lodge to attractive self-contained cottages, both ideal for homestay or farmstay type accommodation. 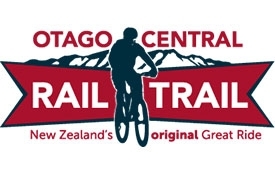 We are situated right on the Central Otago Rail Trail with direct access from the trail itself. 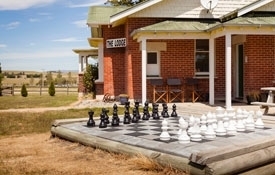 Nestled under the Hawkdun Range and surrounded by stunning landscape of farmland and tussock country, Wedderburn Cottages is a must-stay after a long day. As our bookings change frequently, please ensure to contact us if a date you require appears booked. 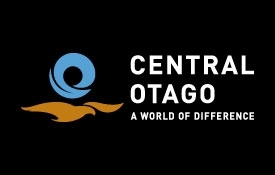 Also payment is not taken from the credit cards – this is to confirm the booking only. 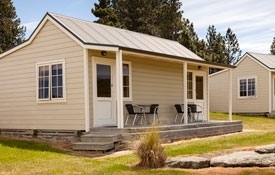 The cottages are all near new, self-contained and with a very private setting adjacent to the lodge. From the veranda and lounge you have an uninterrupted view of the Hawkdun Range. 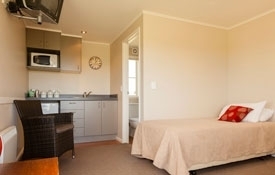 Accommodation consists of: 1 bedroom with 2 singles, 1 loungette with 1 king single and a hideaway bed. Comfortable chairs and foot stools. The kitchenette has a toaster, jug, cutlery, fridge and microwave. 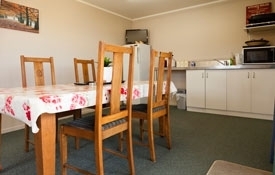 Includes heaters, electric blankets, a fabulous view, direct access to veranda, warm and very comfortable with TV and wireless internet available. Sleeps 2 adults. These smaller cottages are perfect for 1 couple or 2 singles. 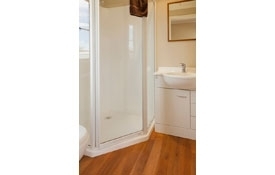 Accommodation includes 2 single beds with ensuite. The kitchenette has a toaster, jug, cutlery, fridge and microwave. 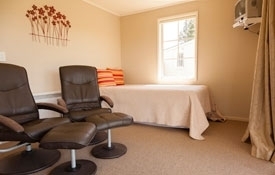 Includes heaters, electric blankets, a fabulous view, direct access to veranda, is warm and very comfortable with TV and wireless internet available. Sleep 2 adults. These smaller cottages are perfect for couples. Accommodation includes super king-size bed with ensuite. The kitchenette has a toaster, jug, cutlery, fridge and microwave. 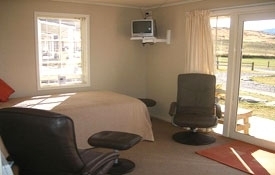 Includes heaters, electric blankets, a fabulous view, direct access to veranda, is warm and very comfortable with TV. Wireless internet available. 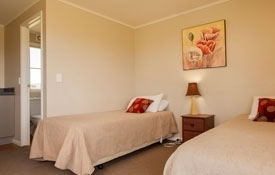 The Lodge is the refurbished farm homestead and is warm and very comfortable. It is ideal for large groups and families, however rooms can be booked individually. It has a large lounge and dining room with TV, a fully equipped kitchen with cook-top, microwave, fridge, toaster, pots and pans, cutlery etc. Includes a BBQ, large heat pump, and electric blankets. Wireless internet available. 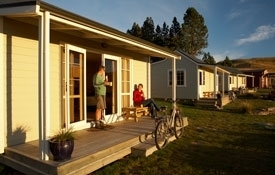 Environmentally friendly, being wool lined using our wool from the farm, cabins made from recycled material from the farm. Includes 2 single beds, electric blankets, shower and toilet situated nearby, kitchen and communal area also near for your breakfast facility. Wireless internet is available.